Artist and founder of Tumaini Festival, which is held at Dzaleka Refugee Camp in Dowa District, over the weekend won the World Bank Social Inclusion Heroes Competition for sub-Saharan Africa. Menes, who also managing Grittah’s Camp in Lilongwe, received the award in United States of America. 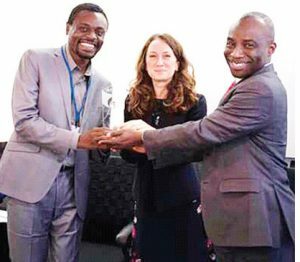 The award was presented during the annual World Bank/ International Monetary Fund (IMF) Spring Meetings held in Washington DC from April 6 to 14 2019. Menes said Sunday he was happy to have grabbed the award. “It is so great that the impact of my work at Dzaleka Refugee Camp and Malawi is getting noticed by major institutions around the world,” Menes said. The artist, who created Tumaini Festival to unearth talent from Dzaleka Refugee Camp, performed as a special guest at the Africa State of the Region event. The World Bank’s Africa Region and its Social Development Unit launched the Social Inclusion Heroes Competition in 2017 to identify role models for African youth that illustrate an African spirit. The artist, who is from the Democratic Republic of Congo, was highlighted by the World Bank as the founder of Tumaini Festival, which has transformed the status of Dzaleka. The two-day free-of-charge festival last year attracted more than 30,000 participants.